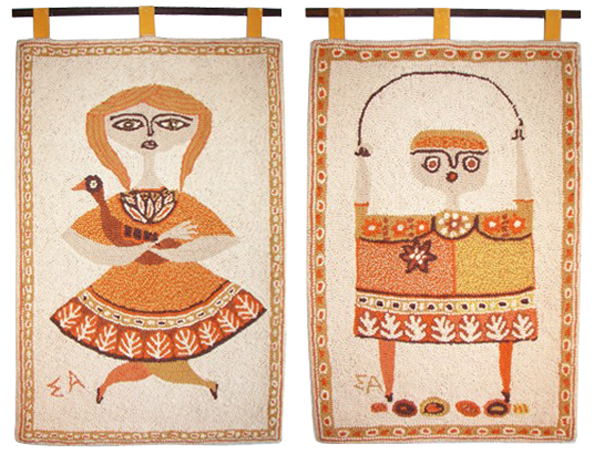 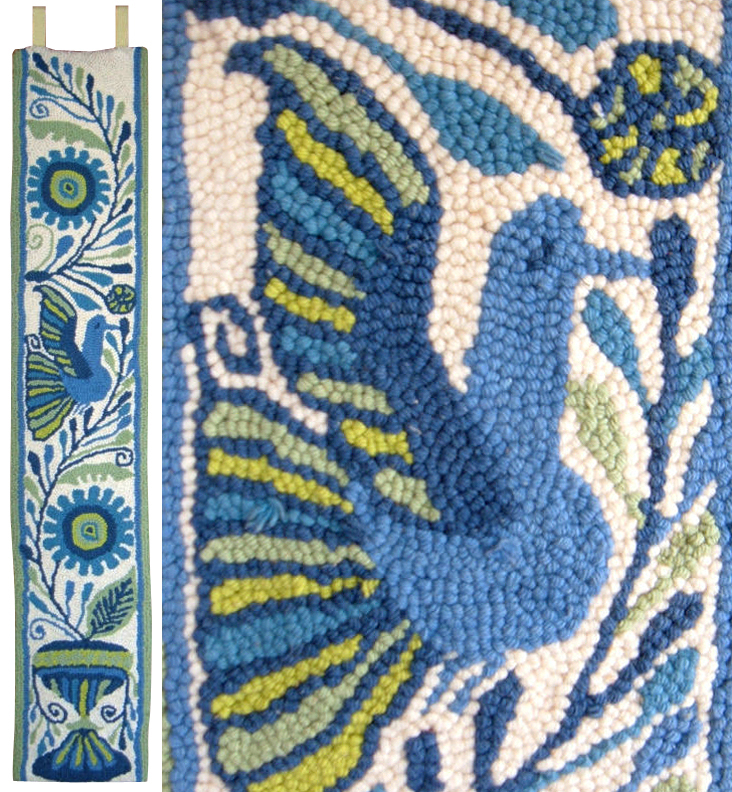 I am a big fan of Jerome and Evelyn Ackerman's work and have previously posted on their mosaics and carved wood panels, so I thought I would round out my coverage of their work with a series of posts featuring Evelyn's tapestries. 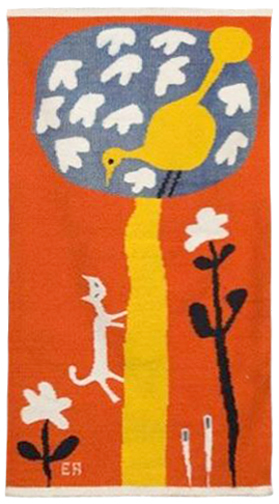 Due to the number of pieces I want to share, I will spread them out over the next 3-4 posts. I apologize for the poor image quality on some of the pieces, I usually don't like to post low resolution images, but in this case I choose to share them for the sake of posting a larger range of Evelyn's tapestries. 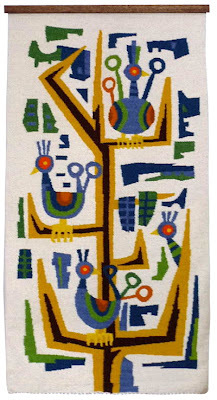 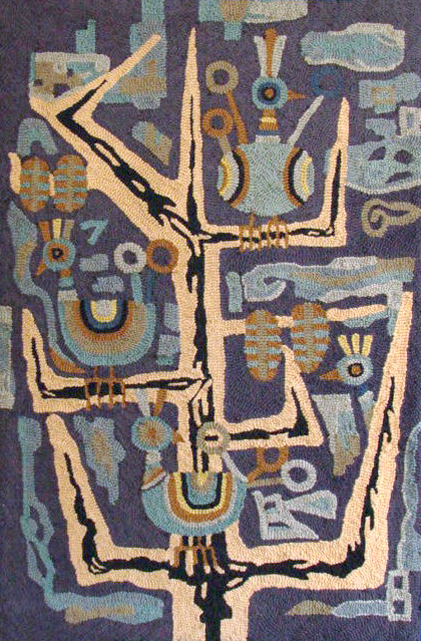 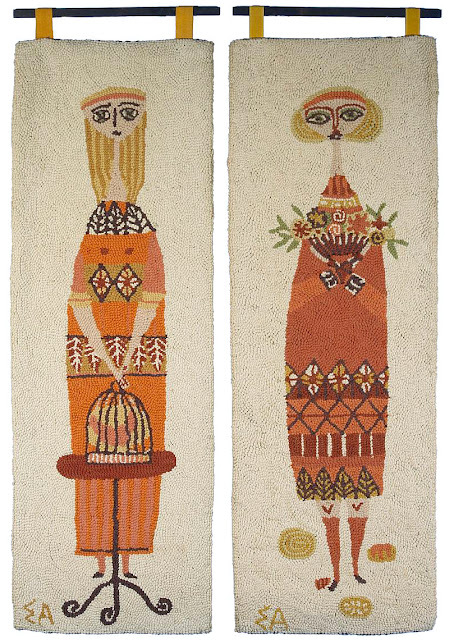 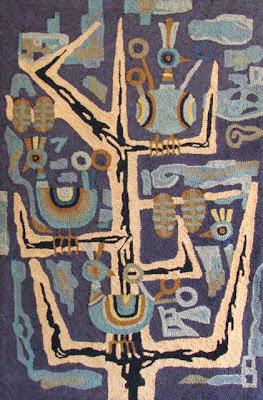 Evelyn first became interested in textiles in 1941 after taking a weaving course at the University of Michigan, however it wasn't until 1958 that ERA produced its first tapestry piece titled Hot Bird (see below). 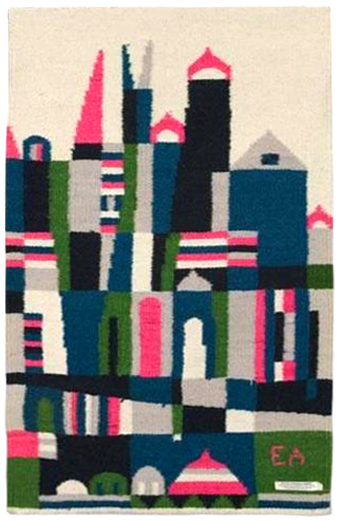 As with most items sold by the Ackermans, production was out-sourced so Evelyn could focus on design; in this case the handwoven tapestries were produced by a family of cottage industry weavers near Mexico City who followed a full-scale color-keyed illustration created by Evelyn. 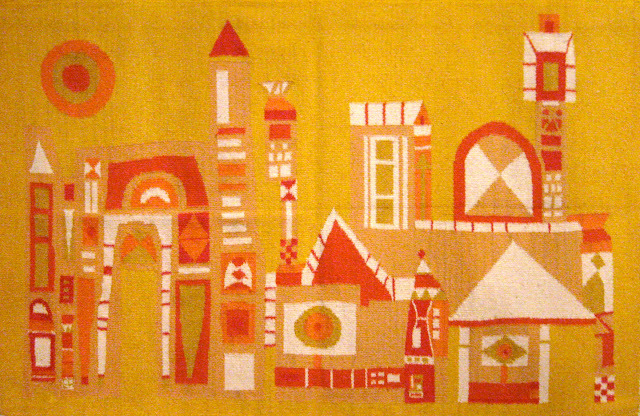 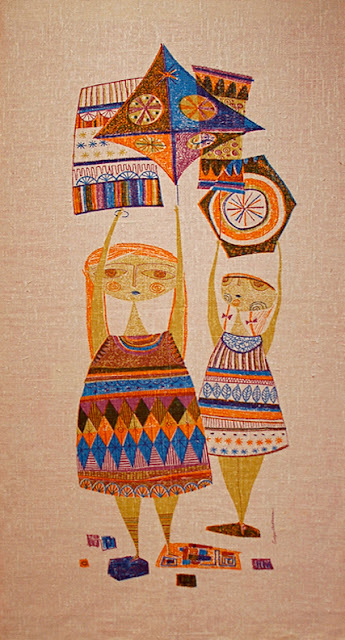 In 1960 they began producing hand-hooked tapestries in Japan, which went on to become their most successful style of wall hanging. 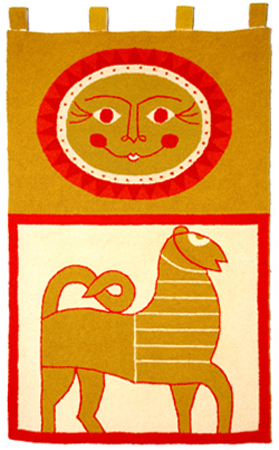 One of their first hooked designs was Sun and Lion in 1960 (see below).